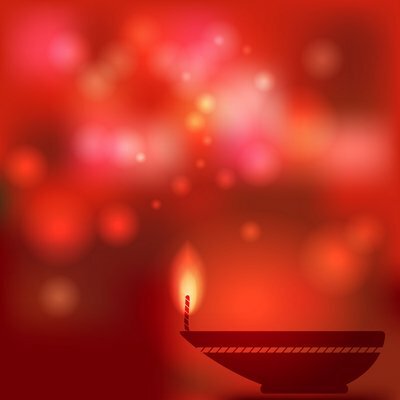 Deepavali is here, it is time to light up your house, greet guests, visit relatives, snack on delicacies and meditate. That’s right, what better time than the festival of lights to practice Trataka. For my friends who are wondering what is Trataka, is it something you eat? It is a form of meditation where you gaze steadily at a fixed point for some time and later visualize the object clearly with your eyes closed. To envision and focus on the image of the object even when our eyes are closed is the desired effect of Trataka. By holding the image in your mind for an extended time period, you are bringing the energies of your senses, intellect and emotions to focus on one point. This allows you to knowingly focus on the object. Through continuous practice, you will then be able to focus your mind consciously on your intangible thoughts or ideas. This is the purpose of Trataka. While Trataka may be practiced on a range of objects, it is most often practiced on a flame. As a flame is much easier to visualize when our eyes are closed, it is considered to be the most effective way to practice Trataka. With lights lit up all around you this Deepavali, it is the perfect time to grab your friends and family and sit to practice Trataka. We wish you a very happy Deepavali and very happy meditating!